I’ve been working on the Rail Crew, all the live-long day… | Miniature armies, huge time sink. Mei Fang on the other hand is badass! Teleporting around and drop kicking fools in the face will never get old. I’m still learning her ins and outs and trying out all the various upgrades she can take, which can really alter the way she plays generally. Plus, did I mention dat model?! 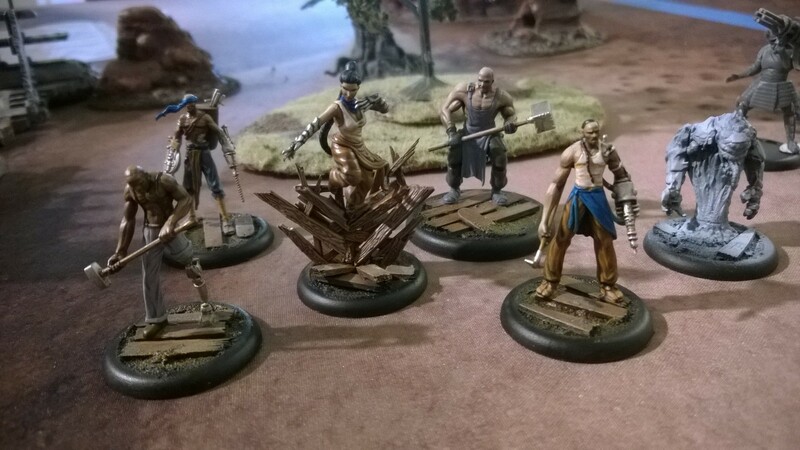 Something that I really love about Malifaux is the upgrade system. Yes, its a bit more book-keeping but the flexibility cannot be matched. I like how you don’t have to worry so much about meta-nonsense (your MMMs, armor skews, etc) as most masters can be kitted out to deal with the situation at hand. Nice painting. I love to play Mei Feng; she often dies but she usually makes a mess of something on the way there. Her mobility is really fun when you can set things up, and it is great to trigger her various extra attacks then Rail Walk out of danger. Recalled Training is really worth it as the turn you spend it she will be making a lot of flips. Yeah, I’m still trying to lose the habit of being conservative with my Masters as Master kill isn’t a game ending condition like it is in WM. In one game, I used Recalled training and Railwalked 3 times into the fray, all the while Tiger clawing, setting on fire, and Jackhammer kicking. It ended up with her sitting at Armor +3 or something like that. It was amazing haha! Upgrade systems I keep hearing about in other games definitely intrigue me. I have long wished in Infinity that the “spec-ops” troopers gained cumulative experience throughout successive missions, but sadly no. 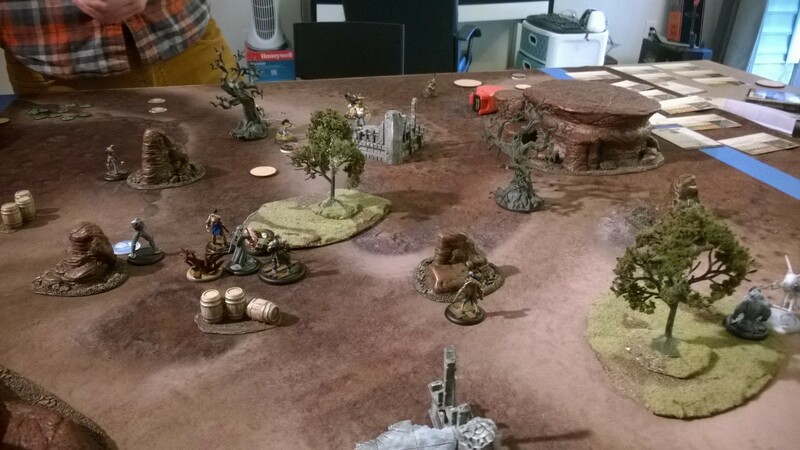 Would you recommend Malifaux to Infinity aficionados, or is it a whole different ball game? I’d say it’s a bit of a different ball game. It’s way more easy to learn than Infinity, as in after 3 games we never really have to consult the rule book anymore. Of course, having everything on the cards helps with that. Granted there are still a lot of effects and things to keep track of, but I haven’t found that to be a deterrent. The upgrades are pretty cool, for instance, with Mei you can take one that gives her a ranged cast with blasts if she’s going to go up against hordes. The I go, you go activations keeps you active in the game like Infinity’s ARO though. I watched a couple Malifaux battle reports after posting this comment last night. The scale definitely seems conducive to tight play, and while the card mechanic looked kitschy at first, I quite liked how it was playing out. I’m casually looking at other wargames, and Malifaux is already higher on the list than a few others. I thought the same at first but being able to have some say over how things can play out is nice. It also really adds a neat resource management element to proceedings. 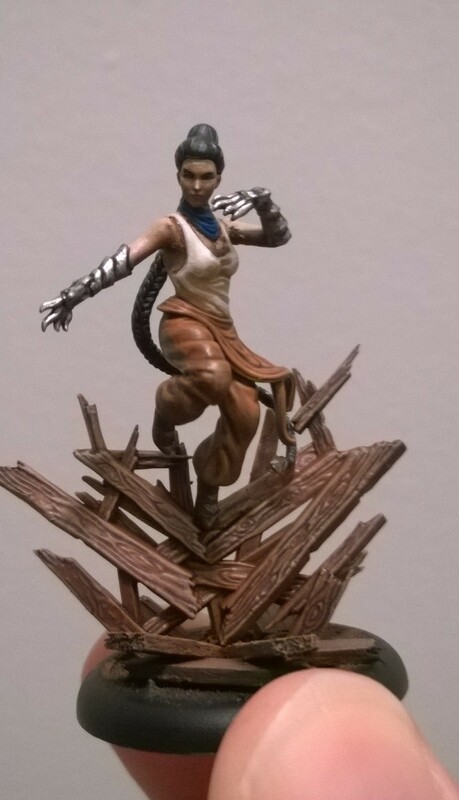 That is a well painted troupe and that base of Mei Feng is excellent. Really dynamic and shows you all you need to know about the character. Really nice painting! I want to ask, where are those trees bought from? Or are they custom made? So the bare “spooky” trees are from GW I believe, the leafy ones are from a train modelling set.